On this date in 1986 The Federated States of Micronesia, abbreviated FSM and also known simply as Micronesia, became an independent nation, consisting of four states – from west to east, Yap, Chuuk, Pohnpei and Kosrae – that are spread across the Western Pacific Ocean. Together, the states comprise around 607 islands (a combined land area of approximately 702 km2 or 271 sq mi) that cover a longitudinal distance of almost 2,700 km (1,678 mi) just north of the equator. They lie northeast of New Guinea, south of Guam and the Marianas, west of Nauru and the Marshall Islands, east of Palau and the Philippines, about 2,900 km (1,802 mi) north of eastern Australia and about 4,000 km (2,485 mi) southwest of the main islands of Hawaii. While the FSM’s total land area is quite small, it occupies more than 2,600,000 km2 (1,000,000 sq mi) of the Pacific Ocean, giving the country the 14th largest Exclusive Economic Zone in the world. The independent sovereign island nation’s capital is Palikir, located on Pohnpei Island, while the largest city is Weno, located in the Chuuk Atoll. 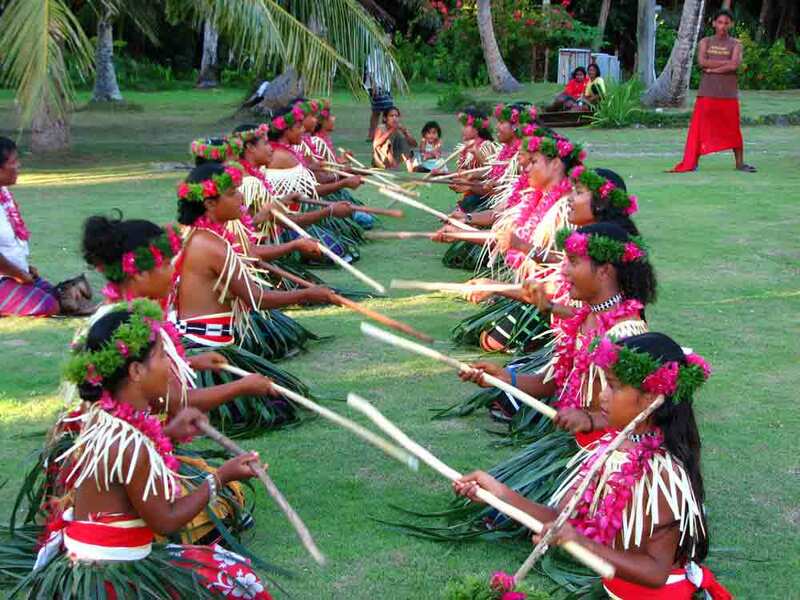 The ancestors of the Micronesians settled over 4,000 years ago. A decentralized chieftain-based system eventually evolved into a more centralized economic and religious culture centered on Yap Island. Nan Madol, consisting of a series of small artificial islands linked by a network of canals, is often called the Venice of the Pacific. It is located on the eastern periphery of the island of Pohnpei and used to be the ceremonial and political seat of the Saudeleur dynasty that united Pohnpei’s estimated 25,000 people from about 500 until 1500, when the centralized system collapsed. European explorers—first the Portuguese in search of the Spice Islands (Indonesia) and then the Spanish—reached the Carolines in the 16th century. The Spanish incorporated the archipelago into the Spanish East Indies through the capital, Manila, and in the 19th century established a number of outposts and missions. In 1887, they founded the town of Santiago de la Ascension in what today is Kolonia on the island of Pohnpei. Following defeat in the Spanish–American War, the Spanish sold the archipelago to Germany in 1899 under the German–Spanish Treaty of 1899. Germany incorporated it into German New Guinea. During World War I, Micronesia was captured by Japan. Following the war, the League of Nations awarded a mandate for Japan to administer the islands as part of the South Pacific Mandate. 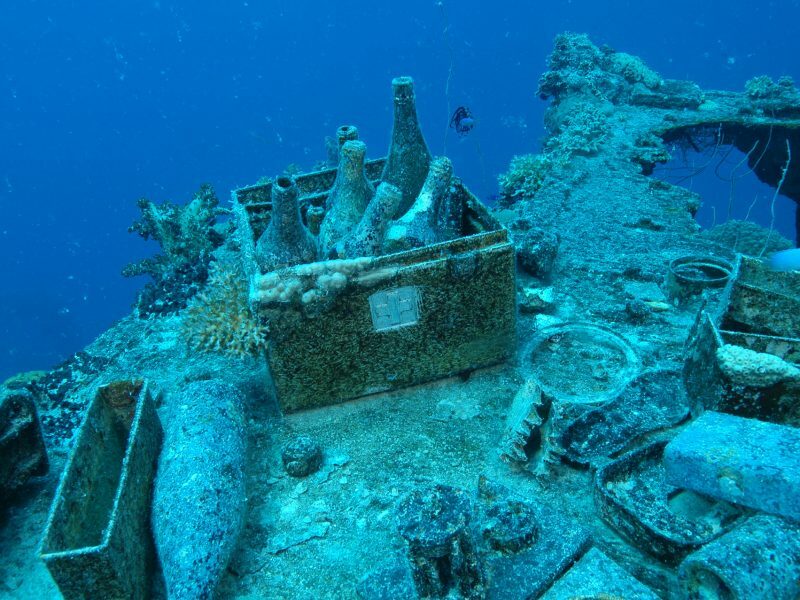 During World War II, a significant portion of the Japanese fleet was based in Truk Lagoon. In February 1944, Operation Hailstone, one of the most important naval battles of the war, took place at Truk, in which many Japanese support vessels and aircraft were destroyed. Following World War II, Micronesia was administered by the United States under United Nations auspices in 1947 as part of the Trust Territory of the Pacific Islands pursuant to Security Council Resolution 21. On May 10, 1979, four of the Trust Territory districts ratified a new constitution to become the Federated States of Micronesia. Palau, the Marshall Islands, and the Northern Mariana Islands chose not to participate. The FSM signed a Compact of Free Association with the United States, which entered into force on November 3, 1986, marking Micronesia’s emergence from trusteeship to independence. Independence was formally concluded under international law in 1990, when the United Nations officially ended the Trusteeship status pursuant to Security Council Resolution 683. The great bulk of Micronesian islanders are engaged in subsistence farming and fishing. Fishing for tuna (known locally as angarap) is potentially very profitable when sold for export to Japan, and smaller fish with less value are frequently eaten at home. 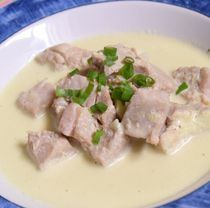 This recipe comes from Chuuk and is widely known throughout Micronesia. There is really very little to it, but fresh tuna is superb. Bring one cup of water and the coconut milk to a boil in a deep skillet. Reduce to a simmer and add the tuna, garlic, and salt and pepper to taste. Simmer gently for 15 minutes. Serve with breadfruit, taro or rice.